Dreher’s mark of an incised cross for Johann Daniel Rehschuch (1668-1752) within the footrim. 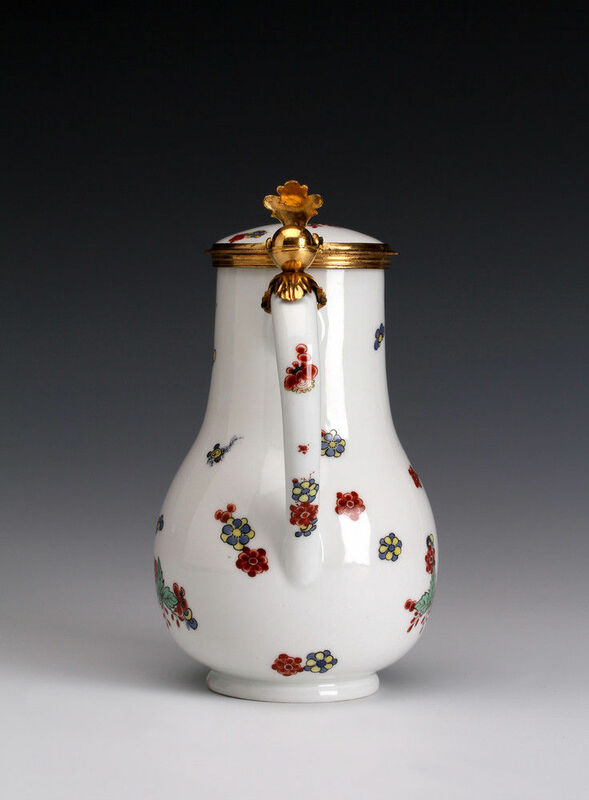 15.7 cm high to top of gilt thumb piece, 14.6 to top of the porcelain cover. 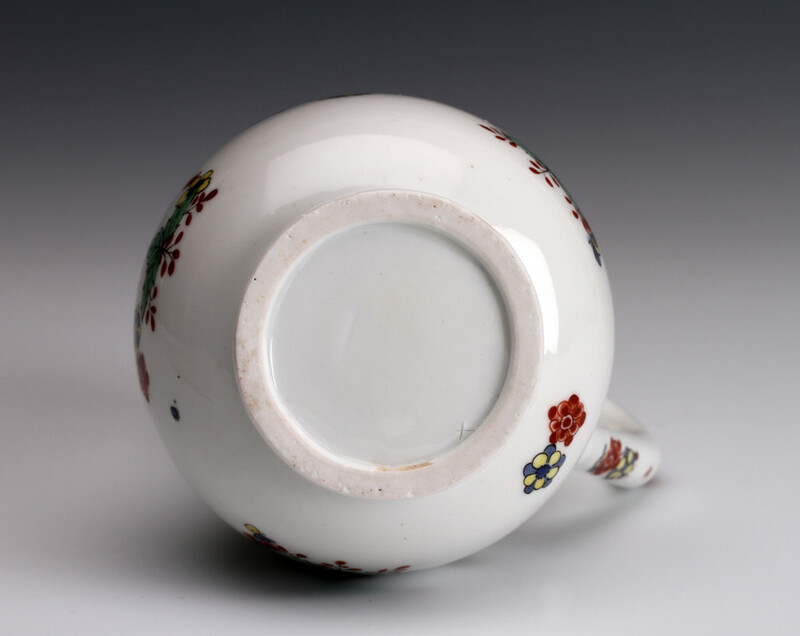 These simple flower heads are typical of the earliest Kakiemon style decoration at Meissen and would have been one of the pieces that the French merchant Rudolph Lemaire ordered from the Meissen factory to be made in the Japanese style without the factory mark. 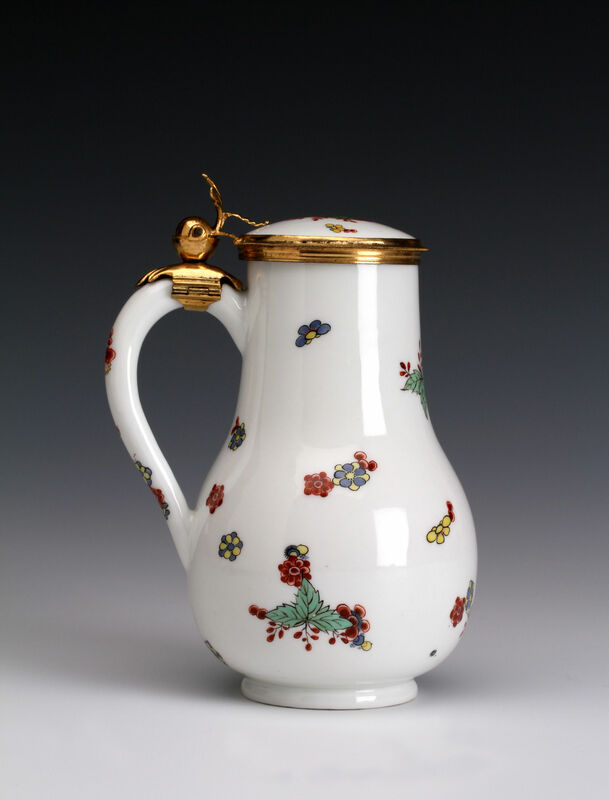 Lemaire had intended to sell these pieces in Paris as genuine and even more valuable Japanese Kakiemon porcelain which was much sought after at this period; his scheme was discovered and much of his stock confiscated by the Saxon authorities and entered the Royal Collection of Augustus the Strong. 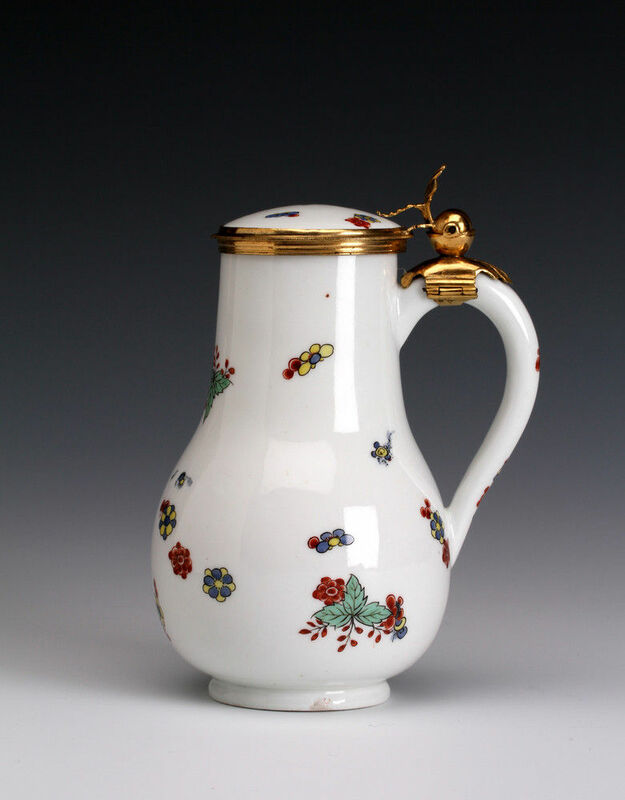 Many of these confiscated pieces remain in the collections of the Porzellansammlung in Dresden. This piece is one of the ones that must have escaped to France. 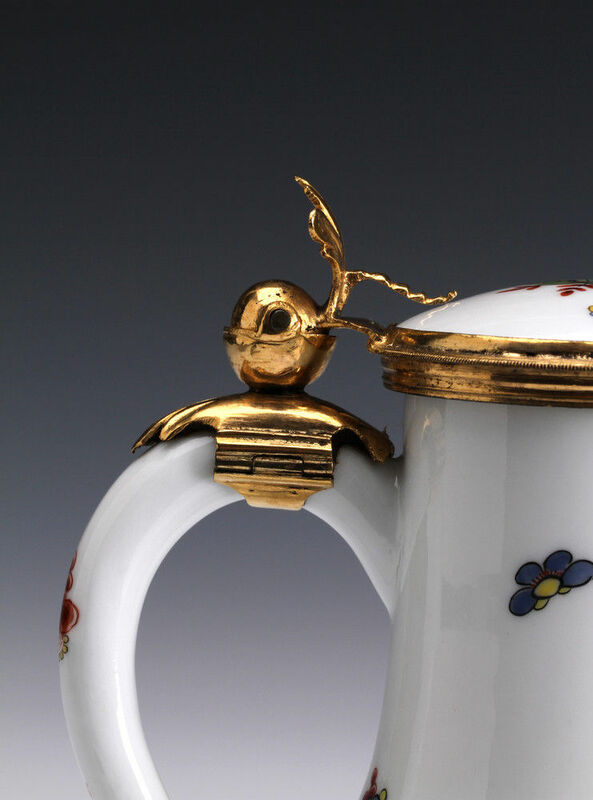 The fine gilt-metall mount is of an uncommon type found on other early Meissen wares and is likely to have been added in Dresden. 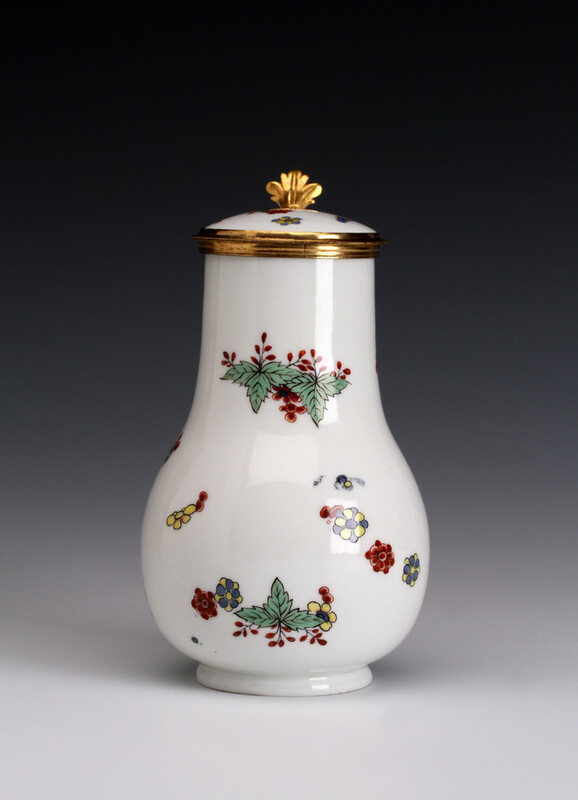 This is a particularly beautiful example with a simplicity and purity of design characteristic of the earliest Meissen Kakiemon wares. Only one other example of the precise form has been recorded.